I started with a Night of Navy card base and then layered Soft Sky. Next I layered with a piece of Riding Hood Red that I stamped with the Hardwood backgroud stamp to create wood planks. 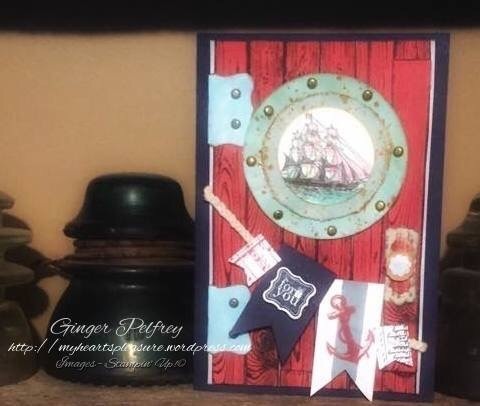 For the ships wheel I punched a large circle in Whisper White and sponged Coastal Cabana and then accented with the stamp from Gorgeous Grunge in Cajun Craze to give the effect of rust and then layered the outer edge with the Tim Holtz Brads. The next layer is cut from canvas and inked with Coastal Cabana with the edges inked in Cajun Craze and the same rust spots. The inside is stamped with the ship from The Open Sea and colored with Prisma pencils and then punched with a circle punch. The door hinges are cut from the Petite Curly label punch and accented with TH brads. The door knob is created using punch art with the Modern Label punch and the Itty Bitty Shapes and Little Labels punch packs. The banner was created with stamped images from The Open Sea and then die cut from the Hearts A Flutter framelits and then attached to two pieces of twine that i braided. 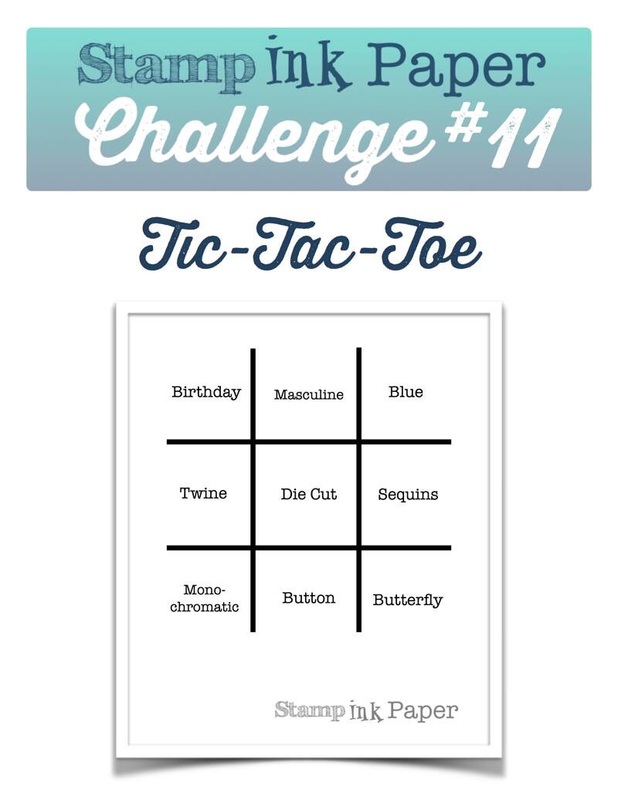 I hope you enjoyed my card and are inspired to play along with us!